The quality craftsmanship you’ll discover by choosing flooring from Ashawa Bay is the result of three generations of dedication, precision and commitment to customer satisfaction. The Ashawa difference is one you will discover the first time you step foot on your beautiful new floor and one you will continue to enjoy for years to come. Ashawa Bay Hardwood Flooring is produced by Hill Wood Products, Inc. located in the heart of Minnesota’s Northwoods. Founded in 1936, Hill Wood Products has been an innovative leader in the forest products industry for over 70 years. Hill Wood Products got their start by manufacturing parts for baby cribs, wooden Christmas tree stands and quickly became the world’s largest supplier of solid birch dowels. Currently, Hill Wood Products manufactures many products including the world’s supply of wood joining biscuits for cabinet makers, wood fuel for a Fortune 500 company and the highest quality hardwood flooring available – Ashawa Bay Hardwood Flooring. When choosing Ashawa Bay Hardwood Flooring you are choosing to make an investment in your property: an investment backed by a progressive company whose roots are deeply rooted in craftsmanship, innovation and customer service. The subtle heartwood red and pinks of American Black Cherry will naturally darken and grow more rich with age. Contrasted to the cream and white of the sapwood, Cherry makes a statement as a dynamic floor. While lower on the Janka scale, Cherry wears very well. Black Walnut is America’s Exotic wood. Our Walnut comes from the northern range of the species, which brings a consistent brown heartwood with well steamed cream color sap. Though softer than other wood species, Walnut makes a beautiful floor and ages nicely. 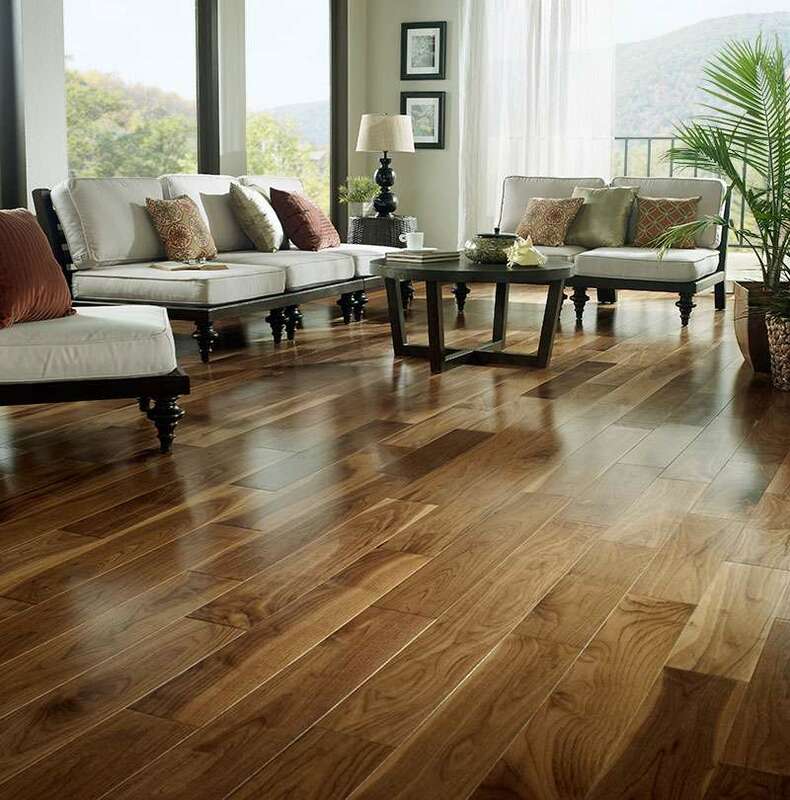 Northern Maple is a brilliant floor, which will brighten up any room and wears extremely well. The select grade is heavy to the sapwood, delivering a very white floor when stained natural, and the 1 Common grade has an abundance of both sap and heartwood, producing a wonderful character floor. Hickory is a wood full of character in both the select and 1 Common grades. With a wonderful mix of heartwood and sapwood, mineral streaks and “bird peck”, Hickory is sometimes referred to as the calico wood. Northern Red Oak has a very beautiful range of light pink to red, adding a natural highlight to any home. Red Oak is the most common species for flooring in America and will remain a top species for years to come.